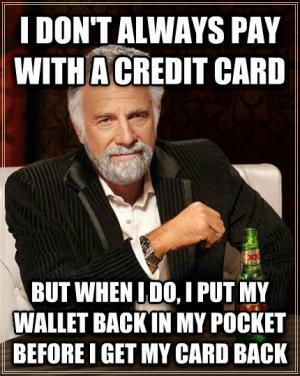 A credit card is that little piece of plastic in your wallet or purse that enables you to buy now and pay later. 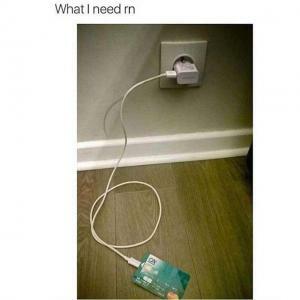 When you pay later in most cases interest is added and you end up paying more money than you would have if you would have just bought it outright upfront or waited until you had the money to do so. 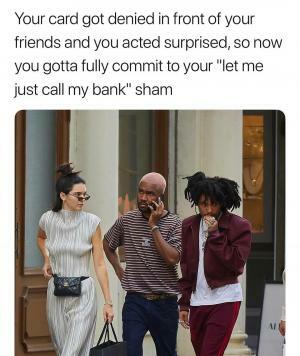 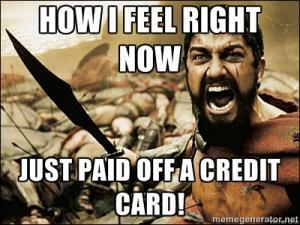 Here you will find a credit card meme or two that may hit home for most of you. 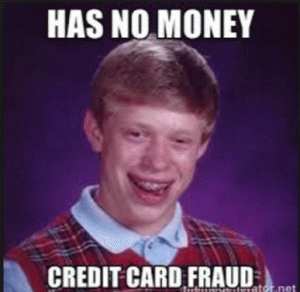 You will find memes about credit cards getting declined and searching through your wallet and trying every card you have until your purchase goes through at the register. 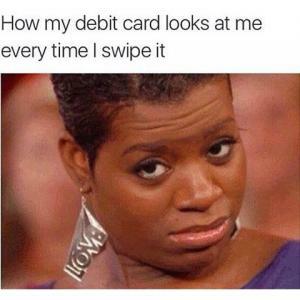 This happens alot around the holiday season. 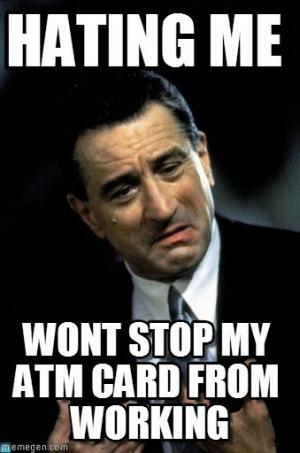 Embarrassing for most, but for some this is a normal way of life. 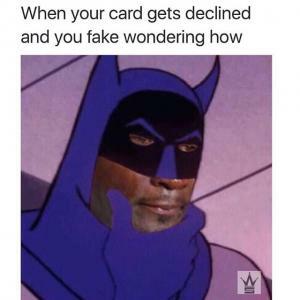 Today my credit card got denied. 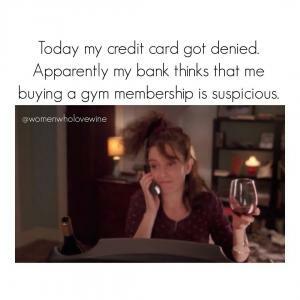 Apparently my bank thinks that me buying a gym membership is suspicious. 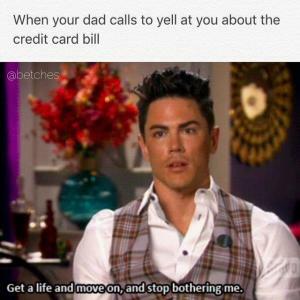 Get a life and move on, and stop bothering me. 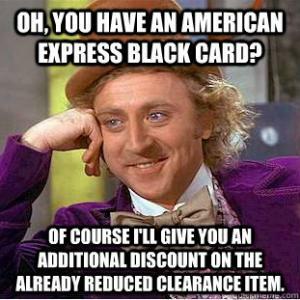 Oh, you have an American Express black card? 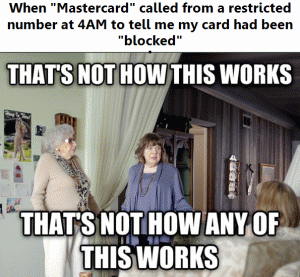 When "Mastercard" called from a restricted number at 4AM to tell me my card had been "blocked"
Like I take American Express? 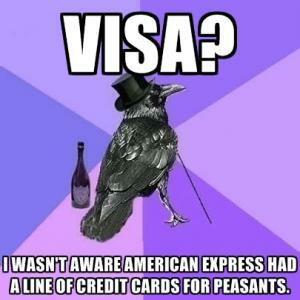 I wasn't aware American Express had a line of credit cards for peasants.